Where can I find top everyday carry gear for 2019? The answer is simple, and today we will give you the answer. We will provide our top EDC gear options that are must have for 2019. These will include Fenix Flashlights, Garmin Watches and Gear Gripz. Let’s get started with our main everyday carry options that we think are necessary to carry around this year. The Fenix PD35 TAC light is the best everyday carry option for the flashlight category. This powerful 1000 lumen flashlight has to power options. It can be powered by a single 18650 rechargeable battery, or you can use two CR123A battery for emergency situations. For this reason alone the PD35 TAC light should be on your EDC list, but let’s discuss some other features. It has a max output of 1000 lumens, this is more than sufficient for any situation. It also has to operation modes, tactical operation and outdoor operation. The tactical mode allows you to turn the light on directly to the 1000 lumens. The outdoor mode allows you to use a flathe various levels of the flashlight, this include an eco mode of 8 lumens with a runtime of 140 hours. The Fenix PD35 Tac light also includes a lanyard and holster which make carrying this flashlight a breeze. You can pick up the PD35 Tac light at Fenix-store.com by click this link. Use the code APP10 and you can save 10% on your order. Built in GPS - Nothing less would be expected from Garmin the company that is one of the pioneers in the GPS market. This watch is perfect for off trail bikers and hunters that don’t want to get lost during the long haul. The Fenix 5S Plus uses trendline popularity routing to help cyclists find the best route for their heart’s desire! 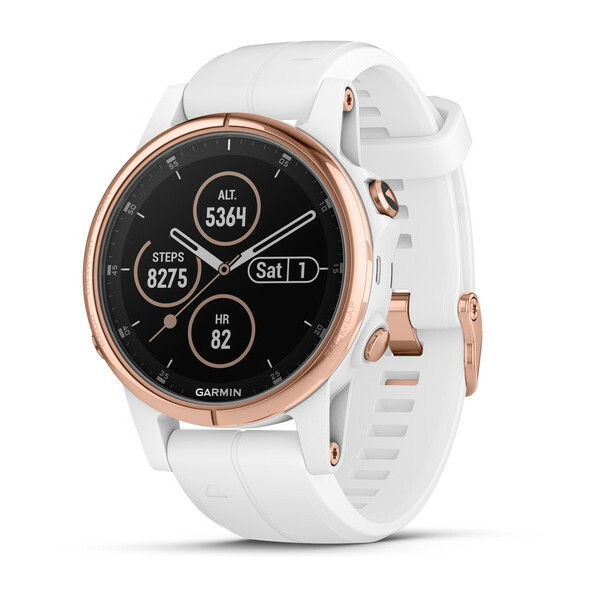 You can pick up the Garmin fēnix® 5S Plus smartwatch at the Garmin website, simply click this link for further options and pricing. What are Gear Gripz? Gear gripz are the ultimate grip tape. You should have a pair of these everywhere you go, in your home, car, office and fishing or tool box. You can stick Gear Gripz to your smartphone, laptop, and flashlights! By adding these Gear Gripz to all appliances you will instantly have a better grip of these items. Tired of dropping your phone? The Answer is Gear Gripz. Tired of tools like hammers and wrenches slipping on you? The answer is Gear Gripz. And you can buy these in a variety of shapes and colors. You can even buy full sheets to make your own custom Gear Gripz pattern. Best of all, Gear Gripz are made in the USA. You can pick up Gear Gripz at Fenix-store.com by clicking on the this link. As we had mentioned before, they are available in all different shapes and color.